The RSE Cloud Computing Awards program was created to build a community that bridges researchers, university stakeholders, regional teams, and national services, to better understand how Microsoft Azure can enable better, faster, and more reproducible research. 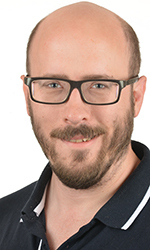 I’m a Research Computing Consultant at the University of Leeds where I provide High Performance Computing (HPC), Programming and Software Development consultancy across a diverse research community, including the Arts and Social Sciences. This role is part RSE, part trainer, part consultant and part outreach. Although my role mainly involves HPC, there are many research projects where it hasn’t been a particularly good fit and Cloud has the potential to help us develop more appropriate solutions. Before joining the University of Leeds, I worked as an Engineer designing machine tool control systems, a teacher and run my own training and consultancy business. I’ve been a co-applicant and lead instructor on four successful grant awards to run bespoke three-day Software Carpentry workshops to support PhD students and early career researchers to improve their programming skills. I also manage a comprehensive HPC and Research Computing training programme designed to be a ‘zero to hero’ structured introduction to HPC, Cloud and research software development. My own research interests are in text analytics, particularly using neural networks to summarise text at scale. 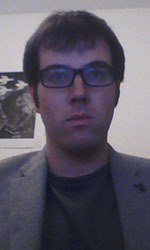 Christian Cole is a Principle Investigator at the Leverhulme Research Centre for Forensic Science (LRCFS). His expertise and passion is in Bioinformatics and Data Science gained over his postdoctoral career at UMIST, The University of Manchester and, most recently, within the School of Life Sciences at the University of Dundee. 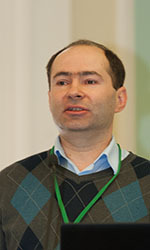 Chris was the founder member and latterly the co-ordinator of the Data Analysis Group: a team dedicated to collaboration on biological projects requiring computational and statistical direction. At LRCFS Chris will be using his multi-disciplinary computational approaches to challenge existing weaknesses in the analysis and interpretation of several forensic evidence types. Chris has a BSc in Pharmaceutical Chemistry and a PhD in Medicinal Chemistry. Joseph Doyle graduated from Trinity College Dublin in 2009 with a B.A.I., BA degree in Computer and Electronic Engineering as a gold medallist. He was awarded a PhD in 2013 from Trinity College Dublin. He was a post-doctoral researcher at Trinity College Dublin and a senior research associate at University College London from 2013 to 2014 and 2014 to 2016, respectively. He is currently Senior Lecturer at the University of East London, London, U.K and also a cofounder of Dithen Ltd. (London, U.K.). His research interests include cloud computing, cognitive autoscaling, green computing, and network optimisation. 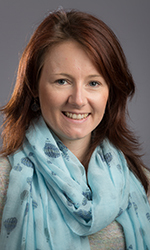 Eilis Hannon is a Bioinformatician in the Complex Disease Epigenetics Group at the University of Exeter Medical School. From her undergraduate in Mathematics, and PhD in Bioinformatics, she possesses a strong statistical background and advanced computational analytical skills. The Epigenetics group generates a broad range of ‘omics data, (genomic, transcriptomic and epigenomic) to advance our understanding of the molecular and biological processes affected in the aetiology of complex diseases. Eilis had a particular focus on schizophrenia and other neuropsychiatric disorders and therefore is interested in the dynamic nature of gene expression and epigenetic variation during human brain development. As strong advocates of open access research, the group routinely share these data through online tools enabling other researchers to explore and visualise specific genes or genomic locations relevant for their work. As the complexity and quantity of data increases, this Cloud Computing award will enable Eilis to develop more advanced tools, increasing the utility of these to the wider genomics community. 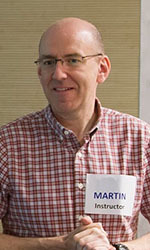 Matthew studied Experimental and Theoretical Physics at the University of Cambridge, followed by a PhD in Computational Neuroscience from the University of London. 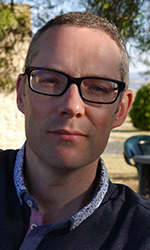 Matthew is now Head of Informatics at the John Innes Centre where he leads a team of scientists and software engineers providing support, training and technical expertise in scientific computing and bioinformatics. His research interests include quantitative image analysis methods in biology, effective scientific data management for large biological datasets, the development of reproducible scientific computing infrastructure and approaches for training scientists in computational skills. 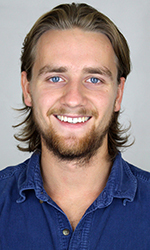 Matthew is also a Software/Data Carpentry instructor. 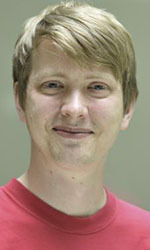 After finishing a masters in HPC at EPCC, Dr Owain Kenway completed a PhD in Chemistry, modelling HIV protease on the computational grid, before joining Research Computing at UCL. Over his time there he has risen through the ranks and he currently works as the team lead of the team looking after users and applications on UCL’s Research Computing services. 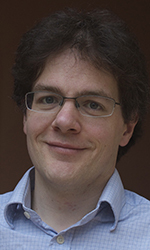 He led the technical design and deployment of UCL’s HPC service Grace which was, at launch, one of the largest University-funded HPC services in the UK, as well as the design and deployment of a common software stack across UCL’s central HPC/HTC services. In 2016 he led the technical side of the team designing and implementing the UK’s Tier 2 MMM hub, Thomas, which provides a £4M dedicated EPSRC-funded national service for running parallel materials science jobs. The service went live early 2017 and now supports several hundred users on top of the same software stack as is deployed on UCL resources. I am a member of the Centre for Interdisciplinary Research in Computational Algebra and one of the developers of the open-source system GAP, which is used for research and teaching in the study of groups and their representations, rings, algebras, semigroups, combinatorial structures, and other discrete mathematical objects. I am involved in multiple aspects of GAP development, including release management, regression tests, liaising with package authors wishing to contribute their developments to GAP, as well as technical support and user training. One source of my motivation to make GAP better comes from using GAP in my own mathematical research – to search for examples and counterexamples, to automate routine calculations and to find arguments needed for proofs. This often requires substantial computational resources and combining different tools, which has naturally led me into the area of parallel computations and interfaces design. I am a Fellow of the Software Sustainability Institute, an editor of the Journal of Software for Algebra and Geometry and the Journal of Open Research Software, and an instructor for Software Carpentry and Data Carpentry. Currently I am a co-investigator on the EPSRC-funded CCP CoDiMa (Collaborative Computational Project in Computational Discrete Mathematics) and on the Horizon 2020 project, OpenDreamKit. I am currently taking a break from medicine to do a PhD in Neuroscience at Oxford. The focus of my PhD is looking at how we encode memories. My lab uses large-scale multi-unit recordings, which means we record lots of individual cells in the brain at once, and focuses on the hippocampus - a region that is primarily involved in encoding spatial context. What I want to find out is how the brain chooses which memories to keep, and how multiple aspects of memory are tied together. I’m pretty big on all things open: open science, open source and open data; although I see being open as a means to an end, rather than a hard principle. For my PhD, it’s primarily a means to solving both the computational and cultural difficulties with ensuring that the science I do is both robust and reproducible. In his role as a Cranfield University Safety and Accident Investigation Centre Research and Teaching Fellow in Flight Data, Jonathan researches the use of machine learning and data analytics to better understand aircraft flight and improve methods to learn from operations as well as how to investigate incidents and accidents using UAS (Unmanned Aerial Systems). Jonathan has a PhD from Cranfield University , a BEng in Aerospace from Sheffield University and a Postgraduate Certificate in Robotics from the University of Western England. His PhD research focus was the application of IVHM (Integrated Vehicle health Management) techniques to UAS using artificial immune systems to identify faults throughout the aircraft's life. He has a wide variety of industrial experience from sources as diverse as McLaren Racing and the UK Queen Elizabeth Class carrier project where he was the Lead Engineer for Fire Detection systems onboard ship. 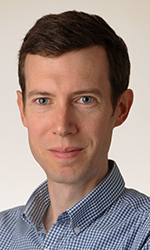 Dr Andrew Washbrook is a senior research associate at the University of Edinburgh and specialises in systems operations and development for High Energy Physics (HEP). As part of his ongoing contribution to the UK GridPP collaboration he leads a team delivering large scale computing and storage resources to the worldwide Large Hadron Collider (LHC) computing grid. 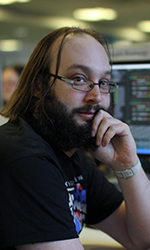 Andrew is an established member of the ATLAS experiment holding a number of roles in distributed computing and software coordination. As software quality coordinator he is responsible for promoting sustainable software practices. His research interests explore the application of emerging hardware and systems technologies for HEP requirements. He has conducted studies in the areas of machine learning, GPU-based algorithm acceleration, distributed systems monitoring and the use of HPC facilities for particle detector simulation. I started out as a physicist and achieving my PhD for work with the LHCb detector at CERN looking for rare decays, I then went on to work for three years at Birmingham as an RSE (though not titled as such). My time at Birmingham was spent developing job scheduling software, user support as well as under- and postgraduate teaching. I have since moved to the University of Bristol where I am working within a synthetic biology group spending half my time working as the sysadmin for the group's supercomputer and half my time providing software support to our community of scientists. On top of my research work, I spend a fair amount of my time teaching the staff and students across the University the fundamentals of software development to help them better perform their research. 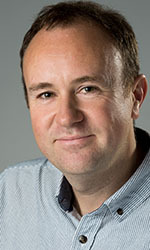 Mark Woodbridge is leading a new Research Software Engineering service at Imperial College London. He has worked as a developer in academia and industry for over 15 years, including as an RSE at Imperial and the University of Cambridge. Mark is passionate about the use of technology to support research, promoting software engineering best practice and increasing diversity in the developer community. As the leader of a new RSE team he is interested in using cloud resources to enable rapid development, automated testing and scalable deployment of software projects in order to more efficiently deliver results to researchers. Dr Wei Xing is AIM team leader at the Francis Crick Institute (the Crick). The Crick is one of the largest bio-medical research institutes in the world. At the Crick, he led a team to develop a big omics data analytic platform for bio-medical research, and also supports more than 100 research labs in application integration and migration. Dr Xing was previously the Head of Scientific Computing and Principle Investigator in the Manchester Cancer Research Centre (MCRC). There he led the scientific computing team to build up the Manchester Cancer Genome Data Centre, and support translational cancer research for CRUK, the Christie Cancer Hospital and University of Manchester. As a PI, he was a project leader of a EU FP7 cloud research project CELAR. 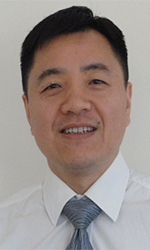 Before joined MCRC, Dr Xing was the head of QA team and the EU research manager at InforSense Ltd., London, UK. Dr Xing has participated in a large number of UK, European, and international projects in the areas of distributed computing, large-scale data management, translational cancer research, and intelligent workflow platform. His current research interests focus on big omic data integrative analysis, cloud-based intelligent software architecture, and advanced bio-computing infrastructure.